Fleetwood Mac News: Review: Lindsey Buckingham "Songs From The Small Machine"
Review: Lindsey Buckingham "Songs From The Small Machine"
Fans of Fleetwood Mac undoubtedly know Lindsey Buckingham. He, with Stevie Nicks, joined the band in time for them to become monster hit makers in the 1970’s. He’s a heckuva guitarist in his own right and has a good singing voice, too. Alas, once again the video here isn’t as good as Eagle Rock’s best, with a lack of detail on longer shots (though close ups are good). And as usual, you get the three choices of audio tracks and, as usual, the DTS-HD is the best, offering a beautiful mix. There’s no center channel on tap, though; this is a four channel presentation. 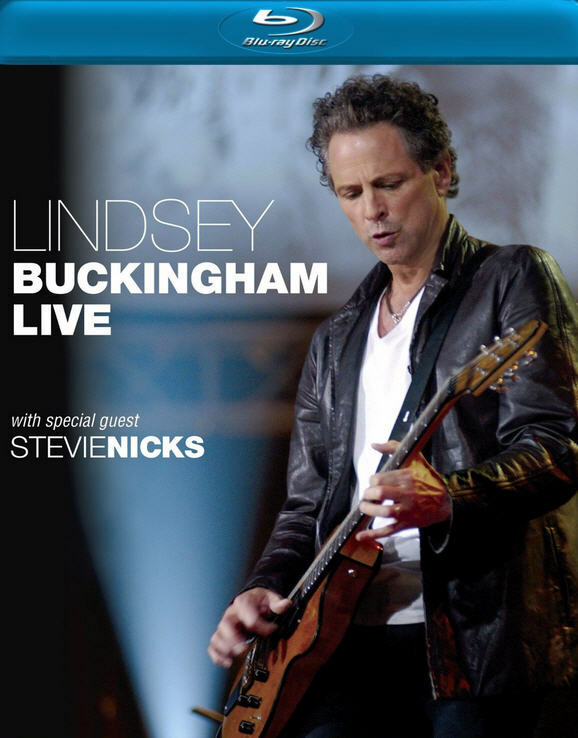 Scheduled to be released on February 7th (for the first time on Blu-ray) Lindsey's 2005 Soundstage Performance titled "Lindsey Buckingham Live" This show was recorded during a break on the Say You Will Tour in 2003 - and really is a must have... The sound on this is spectacular in this small setting.